Many caring owners are unaware their pets have an oral problem, so a thorough examination of your pet's mouth, teeth and gums is part of every physical exam. Here at Carpinteria Veterinary Hospital, we take your pet's oral health very seriously. Pain originating from dental problems is very rarely recognized by even the most consciencious owners. Instinctually, our pets are programmed to conceal any signs of weakness so most pets will continue to eat/play and live their lives normally as they don't understand letting you know will allow you to help them! People often assume their pets are simply aging when in fact they are suffering from chronic oral pain. It is only after treatment that an owner may appreciate how much better a pet is feeling. Why is dental health important for my pet? Other than chronic pain, an unhealthy mouth can be a breeding place for much more serious, systemic disease in your pet. in humans, we know the bacteria that live in the mouth can invade the body through the bloodstream and potentially settle on the kidneys, joints or more seriously the heart valves. We believe the same occurs in our pets and as a result, take any sign of dental disease seriously, especially if a pet already has underlying health issues (heart disease, diabetes etc). How can I recognize dental issues in my pet? During every physical examination, a pet's mouth is examined and we can make recommendations for either home dental care or if dental disease is detected, we will recommend a general anesthetic procedure. We always use general anesthesia for our dental procedures. No matter how cooperative your pet may be, a thorough oral exam cannot be performed on a conscious animal. Although their mouths are different shapes, the basic anatomy of the teeth and gums are the same as humans and effective dental care requires the same attention to detail that your dentist gives you. Without anesthesia, there is no way to assess the inside of the teeth, the stability of the jaw, check for oral growths, take dental x-rays or diagnose periodontal disease or even perform a good cleaning above and below the gum line. And of course, general anesthesia is necessary to perform any advanced dental procedures. What about anesthesia-free teeth cleanings? Unfortunately, we have seen too many of our patients suffer from severe dental disease when well meaning owners seek out what appears to be safer anesthesia-free options. These treatments only make the part of the teeth we can see appear clean. Under the gum line cannot be assessed and gingivitis and periodontal disease cannot be properly treated. 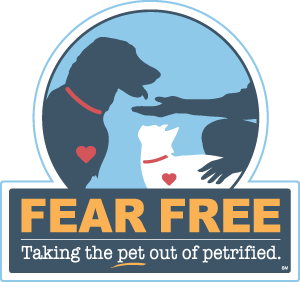 This gives pet owners a false sense of security and usually delays necessary dental procedures while periodontal disease is advancing and options to save teeth are becoming more limited. Please talk to one of us if you have reservations about putting your pet under anesthesia for a dental cleaning. We offer a variety of different dental procedures. Every pet admitted to the hospital for a dental "cleaning" has the same standard of care. Please click here to review what is involved when your pet is anesthetized at CVH. During a dental procedure, you will have at least three people working with your pet. One highly trained surgical assistant or registered veterinary technician (RVT) is assigned only to your pet from the beginning of the anesthetic procedure until well after your pet is awake. He or she will be constantly monitoring and as needed adjusting levels of anesthesia, intravenous fluids, pain control and keeping the doctor constantly informed. A second skilled assistant or RVT will take dental x-rays and perform a thorough piezoelectric scaling (above and below the gumline) and polish the teeth. Meanwhile your vet will assess the dental xrays, perform a complete oral exam, chart the teeth including assessing the depth of gingival pockets, tooth mobility, note evidence of dental or periodontal disease, assess for oral masses, jaw abnormalities and come up with a treatment plan specific to your pet. If no evidence of dental disease is detected, your pet will then be "woken" up from anesthesia. If dental disease is discovered, your vet will then call you to decide on a treatment plan. These are often determined while your pet is under anesthesia, so it is imperative you be reachable by phone the day your pet is under anesthesia. We also work closely with our local dental specialist and can make recommendations for advanced dental procedures (such as root canals) not offered in house. Often the treatment options will be determined while your pet is anesthetized, so it is imperative you be reachable by phone to go over options during the day of the procedure. Let our Veterinarians give your pet's mouth a health assessment as part of a wellness exam, every year!